If you are in need of a gift for your significant other or if you’re buying a gift for a Dog Mom or Dog Dad on behalf of the dog 😉 then look no further! I’ve got you covered. Nerd alert! Someone in your life probably needs this puzzle, available at Walmart. Loving this card from Wonderflies (and check out the rest of the stuff in their shop)! Eeeeeee! These Dog-a-Day Dessert Plates from Anthropologie are to die for! It’s been a hot minute since I blogged. Yikes. Between Thanksgiving, some traveling, and getting sick, I am happy to home for the rest of the year and looking forward to the holidays! 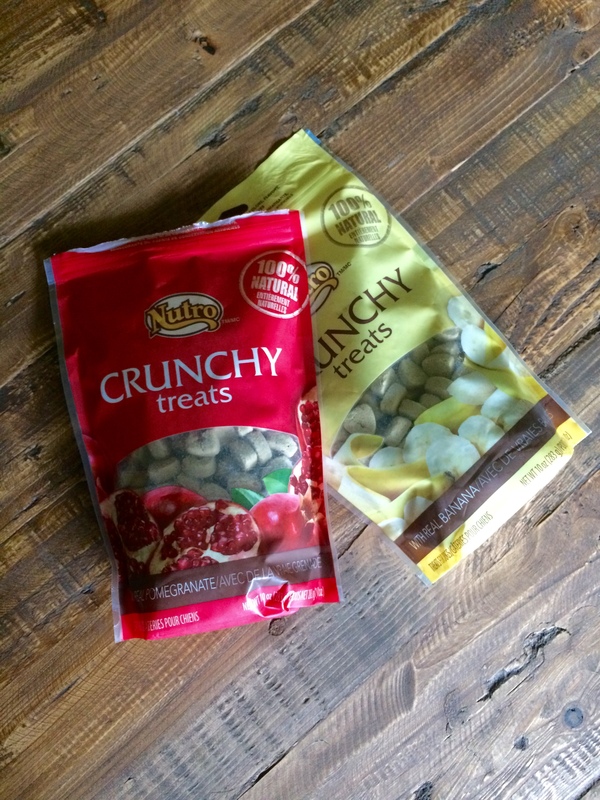 Today I’ve got a new treat to share with you from Chewy.com. 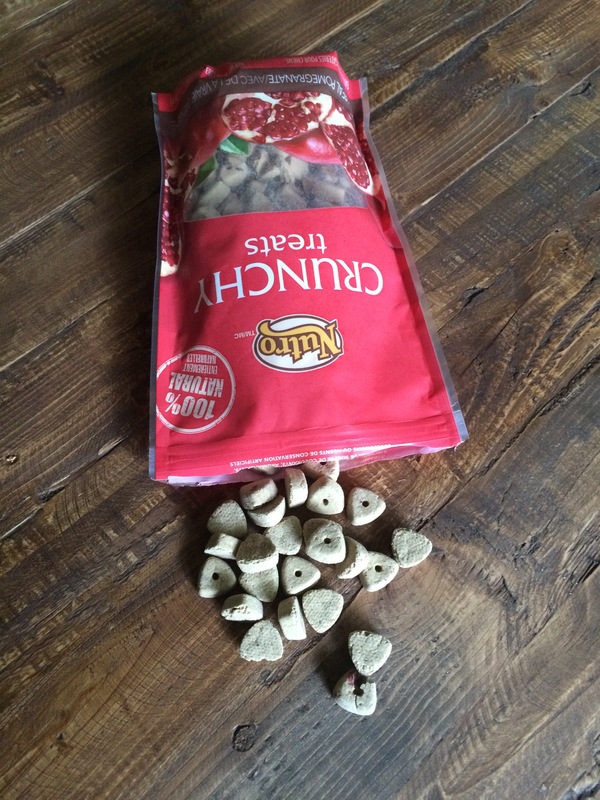 Check out the ACANA Lamb & Apple Dog Treats. Oh, yeah. That bag is open. And we’re about through the darn thing because Teton and his cousin Henley Pretzel have been gettin’ DOWN on these treats. 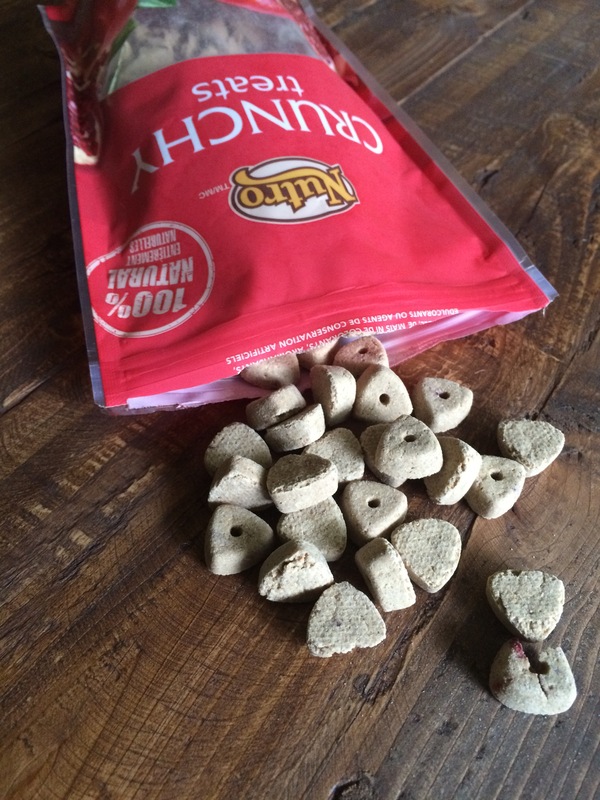 ACANA’s freeze-dried treats come in a handful of flavors including the one we tried – lamb & apple. I have to say, we got the most tame of the flavors because two of the others are pork & squash and mackerel & greens! Not many ingredients in these little nibblers. We ♥ that! They’re also made in the U S A. Winning. 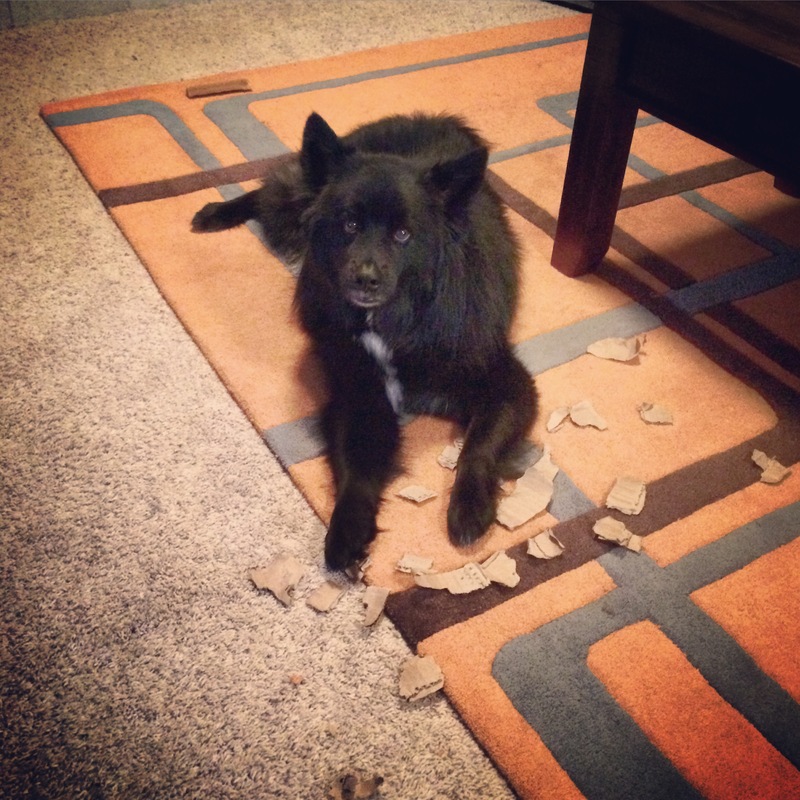 In my experience, freeze-dried treats are almost always a favorite for any dog. They are easy to chew and digest (it seems) and they smell super strong and delicious. ACANA’s line of freeze-dried treats is available here at Chewy.com. They’d make a great stocking stuffer for your pup! Ok, warning. Severe selfies ahead. One of my favorite things to shop for and review are dog products for humans. 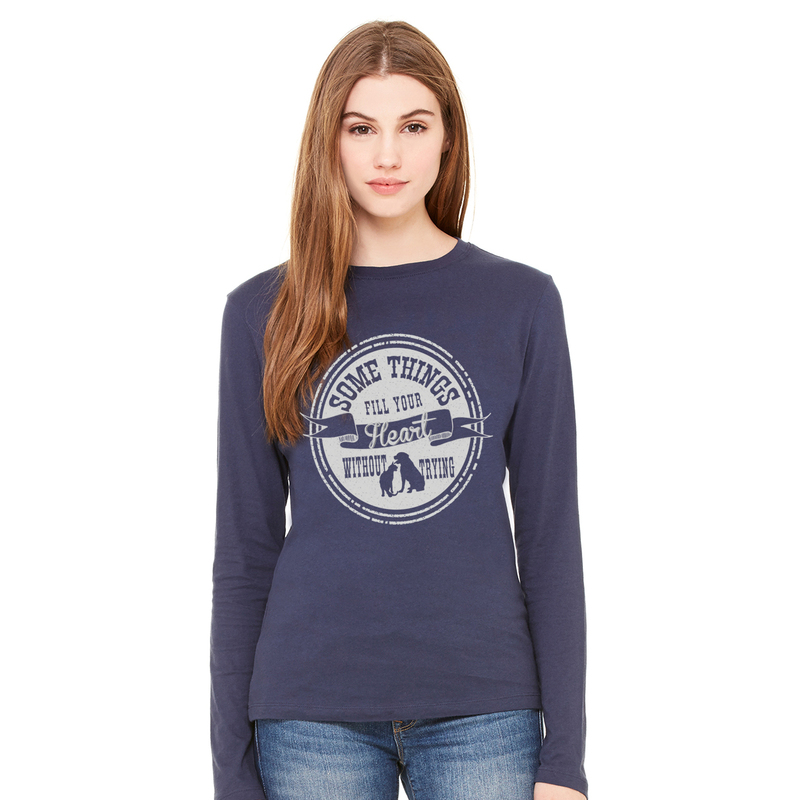 You know…shirts, mugs, keychains, art, that type of thing. So, being that Christmas is right around the corner (seriously, people, get your shopping done before it’s too late!) I wanted to share with you a few recent purchases and one gift that may just be perfect for the dog lover in your life. Exhibit A. This tank from Wags & Weights. Describes my life. Is amazing. The end. Exhibit B. This sweatshirt. A birthday gift from my homie (thanks, girl!). Also describes my life. Available here on Etsy. Exhibit C. This shirt that I clearly needed last weekend when I was visiting my bestie in Arizona. 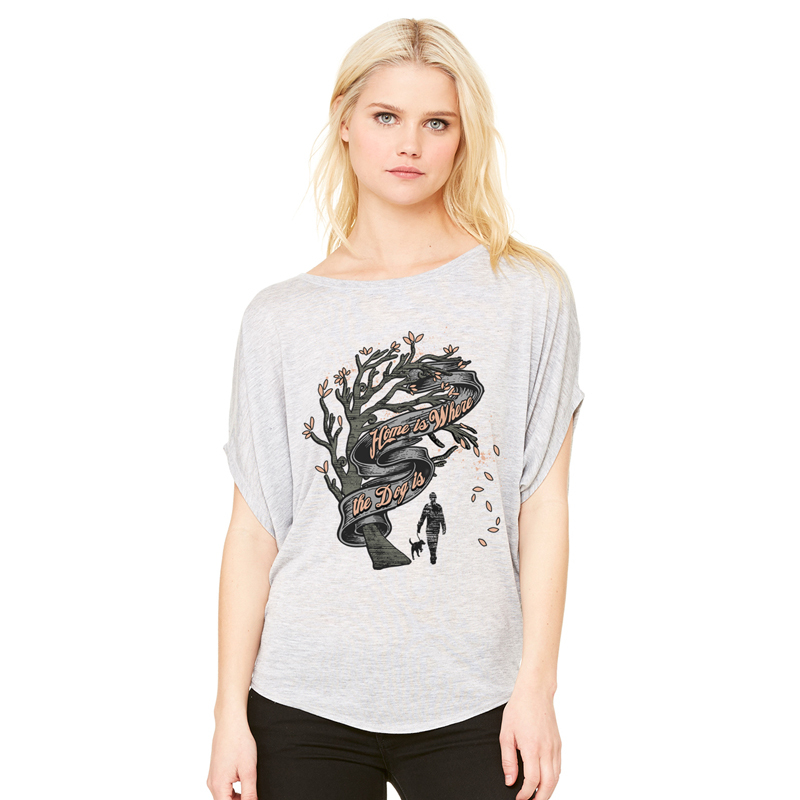 Available here from Farfetched Apparel, along with a zillion other adorable shirts and goodies. Ok, selfie time has concluded. I’m off to drink from this, my new favorite mug. See you next time for some more Christmas gift ideas for that dog lover in your life! Happy Saturday! Is it me or is the weekend already going by way too quickly? Ugh. If you’ve been following Her Dog Blog for a while, you know I love Etsy. About once a week I get sucked into the Etsy vortex and can’t find my way out for a few hours. It’s always worth it, though, because I find so, so many adorable things. Check out Teton’s new tag from MOD Paw’d! The kind and generous folks at MOD Paw’d contacted me and offered to create a custom tag for Teton, and the finished product is to die for! 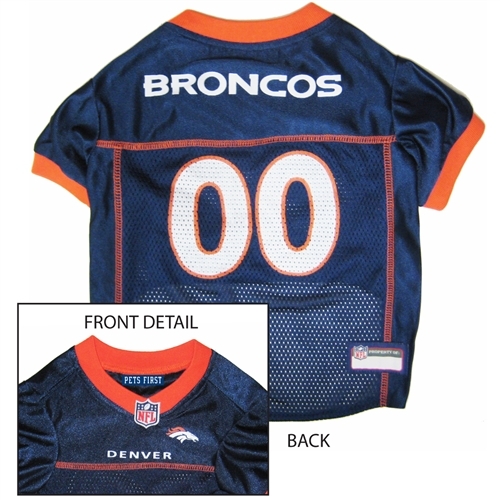 The tag we chose is called “The Donut” and is a completely customizable two-layered tag. It’s lightweight but not at all flimsy and the quality of the stamping is fantastic. I opted to get a quote (“the mountains are calling”) on the second layer of the tag, and Teton’s name on the first. I love that it’s in all lowercase letters. Check out some of my favorites from the MOD Paw’d shop! 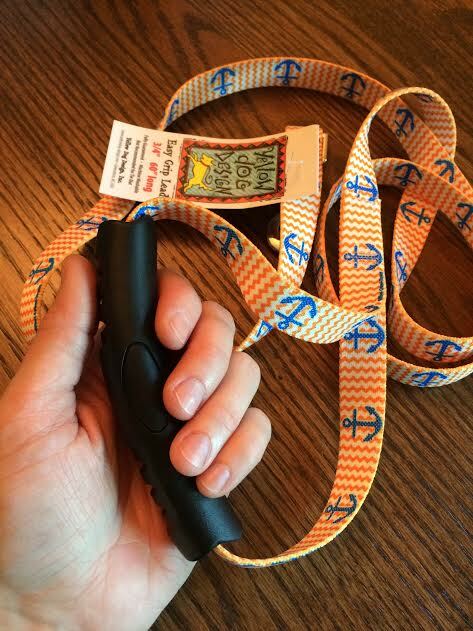 If you are in the market for a new tag for your pooch, make sure you check out MOD Paw’d. Their customer service is superior and it was a pleasure working with them! I hope you had a good weekend. Aside from the constant downpour around these parts it’s been a great one for us. I’d like to introduce you to Hot Dog Collars. Typically I get offers to test food or treat products so I was stoked when the folks at Hot Dog Collars offered to send Teton some goodies in exchange for a review on Her Dog Blog. 2. 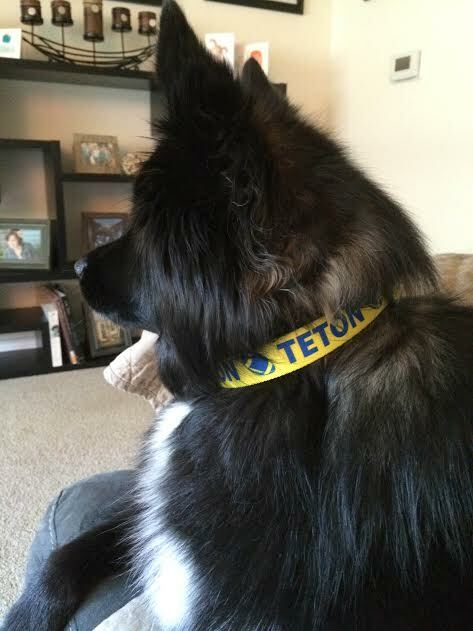 Custom ID Personalized Dog Collar – Believe it or not, but I’ve never ordered Teton a custom collar before now! It was pretty fun to create. 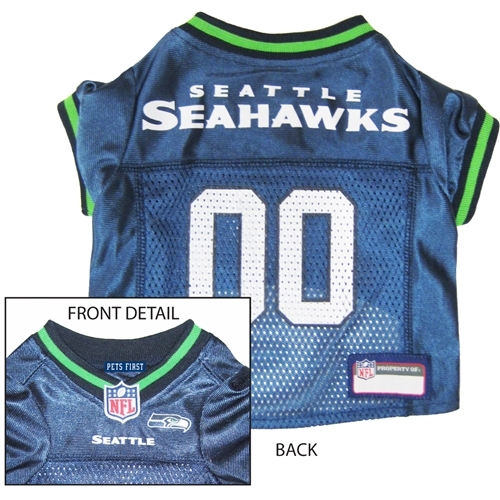 When creating a collar on Hot Dog Collars, you’ll get to choose the collar’s inner and outer colors, the text color, and a design like the football I had printed onto Teton’s. The only bummer is that you can’t preview your collar before ordering it, but this is exactly what I had in mind when I submitted my order so I guess there isn’t much room for surprise. 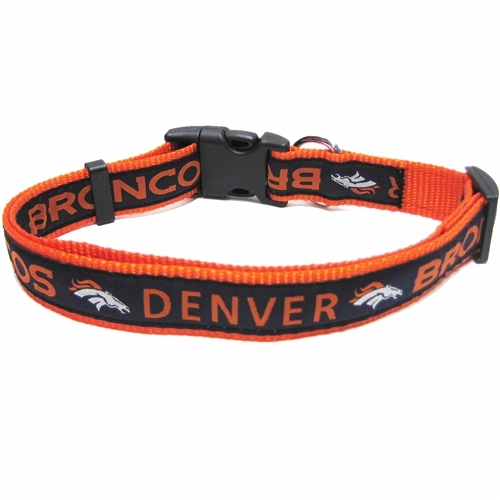 These custom, made in the US collars are just $10.95! 3. 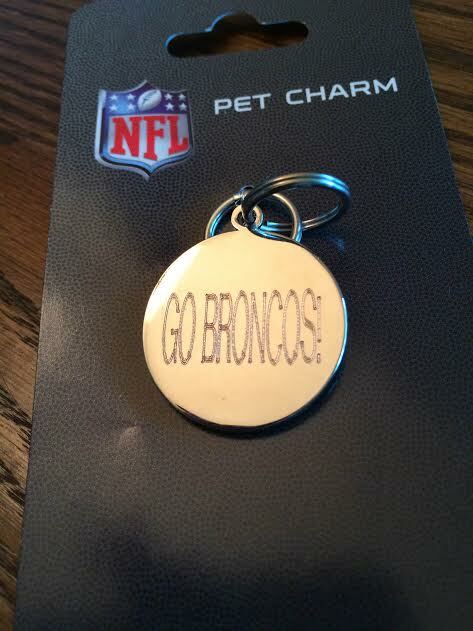 Denver Broncos NFL Dog Tag with Custom Engraving – The husband is from Denver and loves the Broncos so Teton divides his devotion between Denver and Seattle. 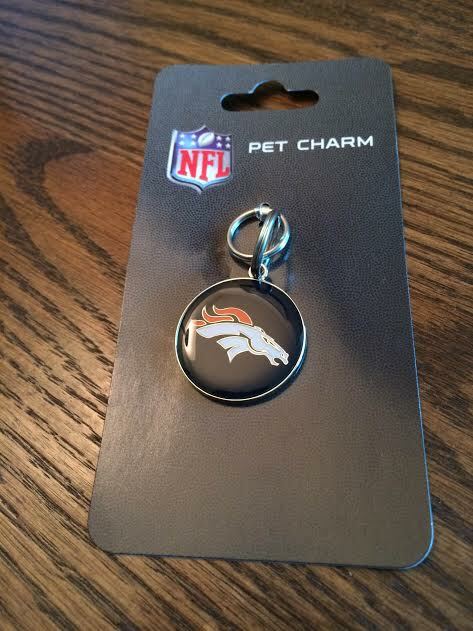 😉 This NFL charm says “GO BRONCOS!” on the back and it’s a cute little addition to Teton’s collar. This would be a fun gift to give friend for their dog. 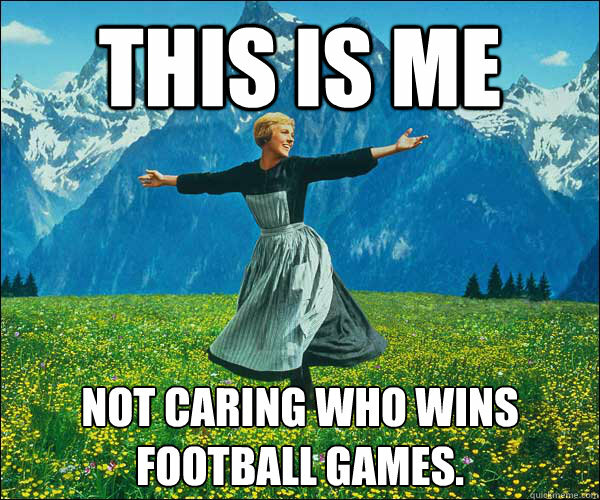 You know, if you have any friends that are obsessed with football. 4. Dog Tag Circle Silencer – I’ve yet you put this tag silencer on Teton’s collar but when I do I’ll let you know what I think. 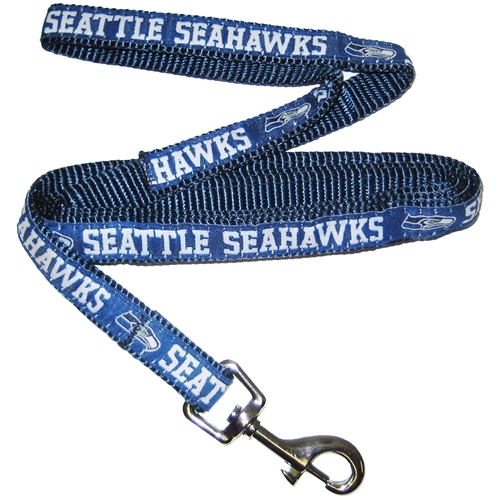 I have a ton of friends that use these on their dog’s collars to keep them from jingling and jangling around. 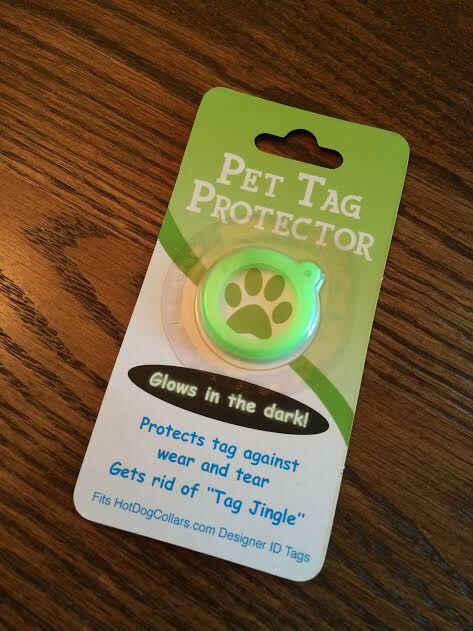 This one is particularly cool because it’s glow in the dark and any of you with completely black dogs know how difficult it can be to see them at night! 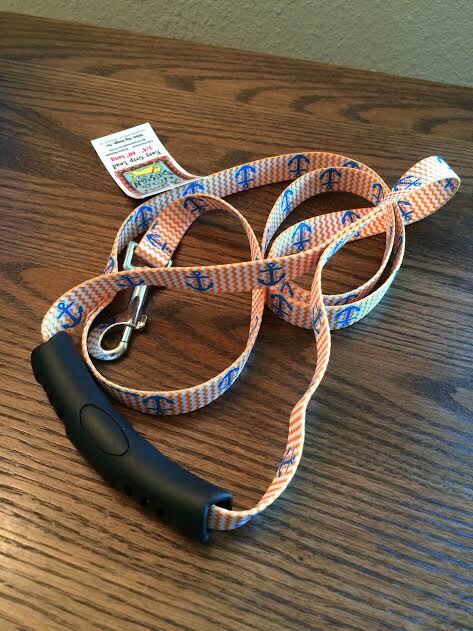 Hot Dog Collars has a ton of products, so start perusing! It may pay off since they’ve generously offered up a $50 gift certificate code to one of Her Dog Blog’s readers! To enter to win this $50 code toward any purchase on Hot Dog Collars, leave a comment below telling me what you’d most like to purchase for your dog! 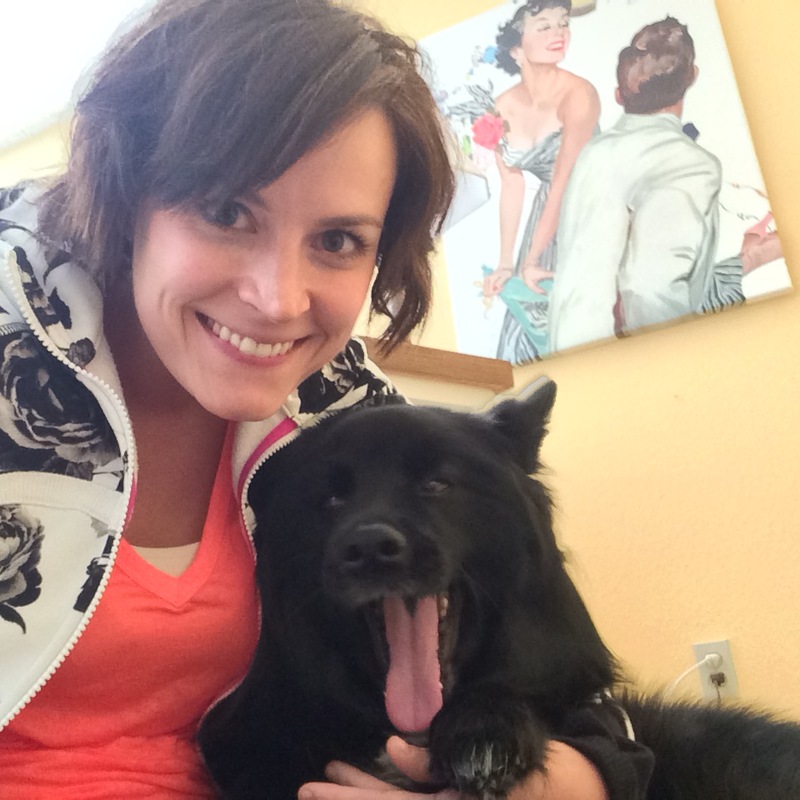 For an extra entry, “like” either Her Dog Blog on Facebook and mention that you’ve done so in your comment. I’ll randomly select one winner next Sunday, November 9th. 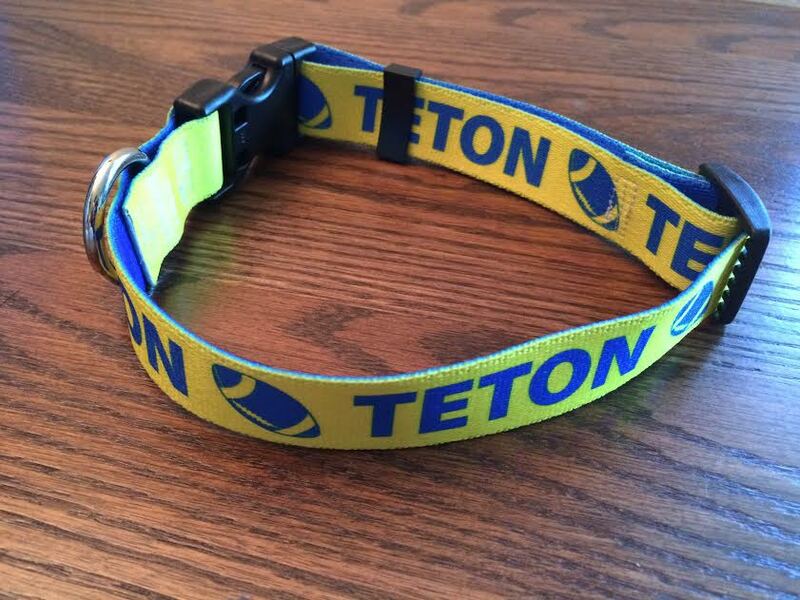 Big thanks to Hot Dog Collars for Teton’s goodies and for sponsoring this giveaway!